You would also lose your private insurance…. This was advocated by Bernie Sanders…. IT IS SOCIALIZED medical coverage BIG TIME.. While some liberal and Democrats have called for it? To put it into effect? How would we pay for it? It would raise your taxes to pay that trillion’s…. Sanders couldn’t figure out how to answer this…. Kamala Harris can’t either and 24 hours after fronting it in her campaign for President? She’s already backing up on this…. The poll’s details, however, were a lot of less positive about Medicare for All. In fact, they showed why single-payer health care may turn out to be one of the few problematic issues for Democrats heading into 2020 — if the party isn’t careful. 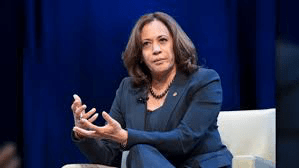 Harris has highlighted the tensionsthis week, saying on Monday night that she supported the most aggressive version of Medicare for All before moderating her position, via aides, late yesterday….